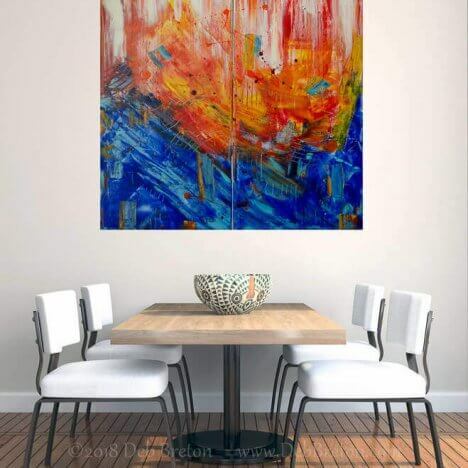 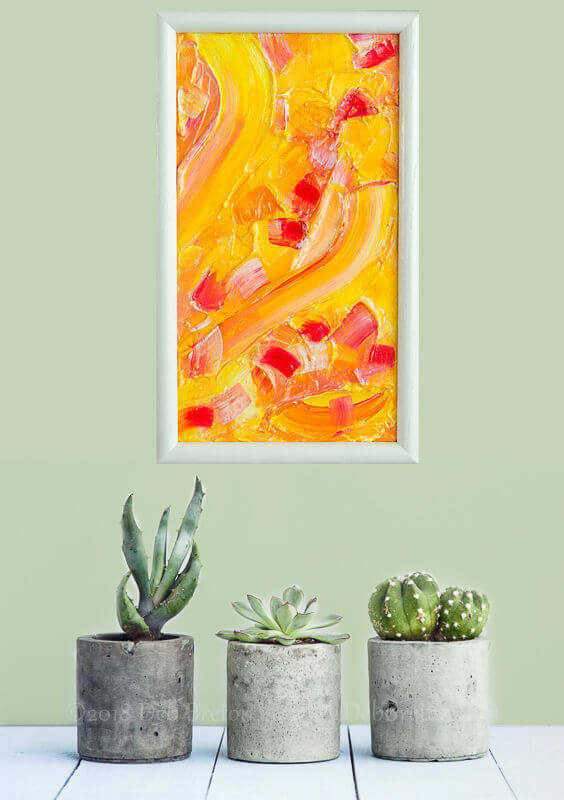 Spring has Sprung is a richly textured painting of yellows, orange, and red pinks, with energetic paint strokes. 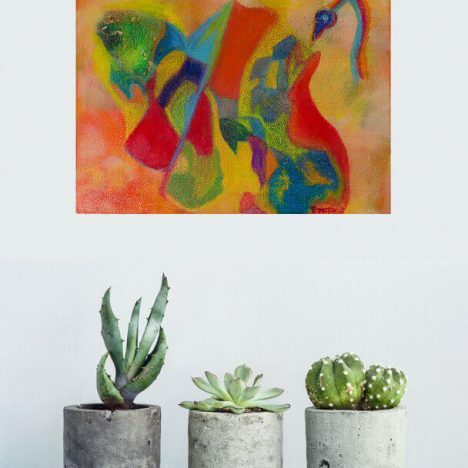 Spring has Sprung textured painting. 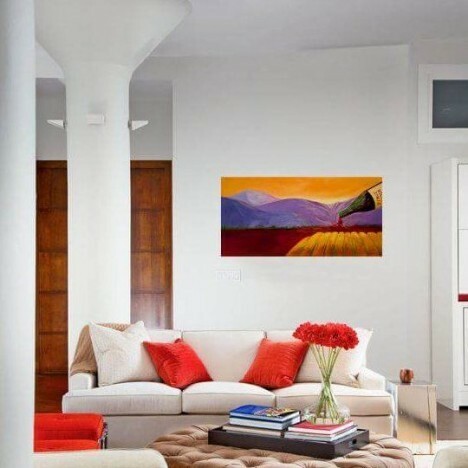 This small painting is framed with a white frame. 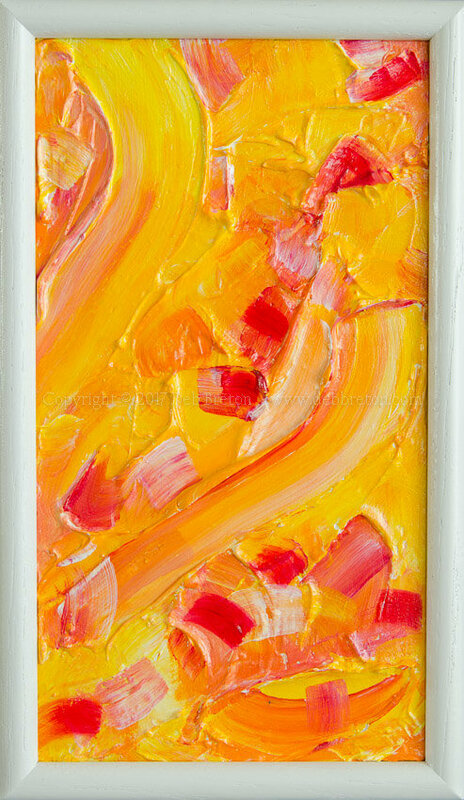 Impasto type heavy texture and energetic brush strokes that herald the colors of spring. 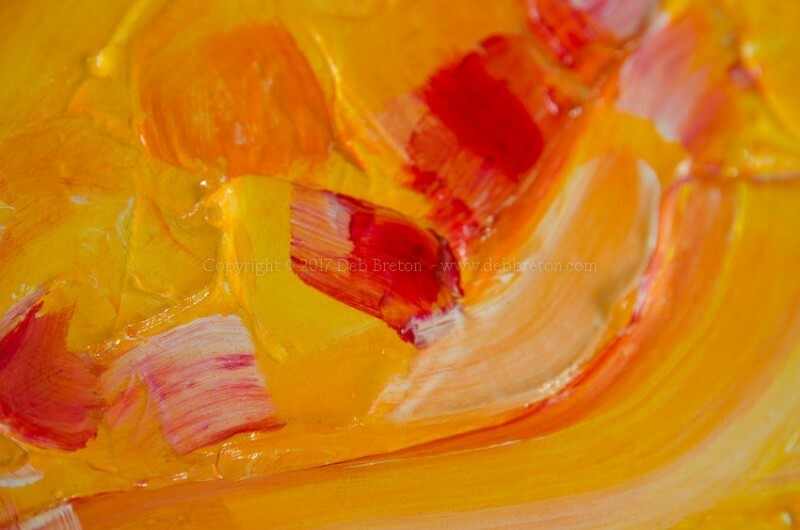 Yellow, orange & pink – fuscia strokes of color.